Is there a reason I’m going through this? The talks are designed to engage and inspire conversation. They are generally thirty minutes long and played as a video, though sometimes it may include a live talk. Each session explores a big issue around faith and unpacks the basics of Christianity, addressing questions such as Who is Jesus? and How can we have faith? No two Alphas look the same, but they generally have three key things in common: food, a talk, and good conversation. And did we mention? They are FREE! We provide the food and the session video, so all you have to do is show up! We start the evenings with homemade dinner because it’s a great way to encourage community and get to know each other before diving into the learning session. After food we watch the alpha session video. The talks are designed to engage and inspire conversation. They are generally thirty minutes long and can be given as a live talk or pre-recorded video. They explore big issues around faith and the basics of Christianity, addressing questions such as Who is Jesus? and How can we have hope while living in a broken world? Finally, we open up the conversation to give everyone an opportunity to share thoughts and ideas on the topic, and simply discuss it further in a small group. What’s great about this time is there’s no obligation to say anything. And there’s nothing you can’t say. It’s just a way to hear from others and contribute your own perspective in an honest, friendly and open environment. CAN I COME IF I DON’T GO TO CHURCH AT ALL? OR IF I’M NOT A BELIEVER? Absolutely! Anyone and everyone who is interested in learning more about faith is welcome and encouraged to join. What if I go to another church? You are surely welcome here, whether or not you attend on Sundays. We would love for you to come. That’s ok! While we encourage you to commit to coming each of the eleven weeks, we know that life happens, and if you can’t make it one week that is no problem. 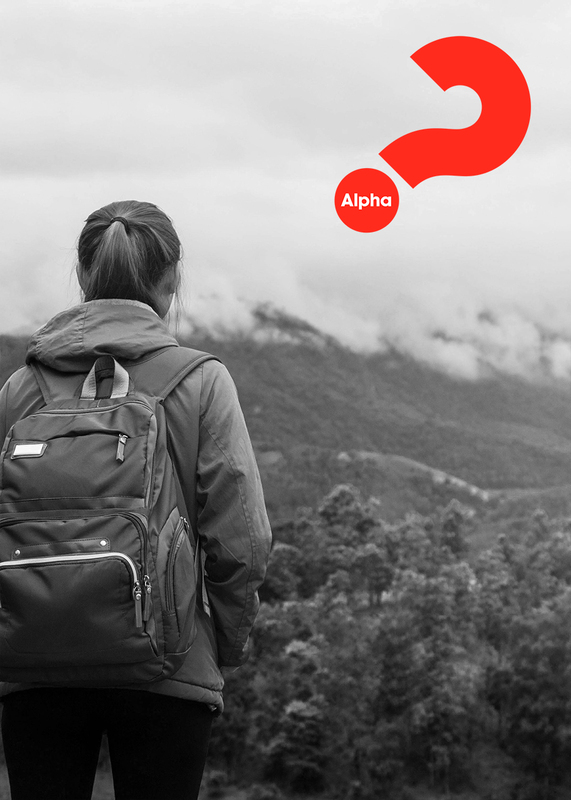 How long is an Alpha Course? Absolutely! We encourage any and all to join us. Of course not! We’ll provide the meal, so come hungry. CAN I JUST COME TO ONE SESSION BEFORE I MAKE A DECISION TO JOIN THE GROUP? We would love for you to come, even if just once. We do not have any official attendance or commitment requirements – we just try to provide a welcoming, safe, and fun environment for people to come together and talk about Jesus. Per favore, vieni! Tutte sono benvenute. Read more about Alpha and hear testimonies from people all over the world who participate in it.